Though not a subject of hot debate amongst most members, Unite’s rulebook has a big influence over how the union operates, including how decisions are taken, who takes them, and when. The rulebook shapes the democracy and participation which are vital to union strength. In 2019 a Rules Conference, which only happens every four years, gives you an opportunity to change the rules and strengthen our union. The conference is 24-28 June, but the deadline for proposals is 1 March. Every Unite branch and constitutional committee (so that includes sector committees, equality committees, area activists and regional committees and retired members’ committees) can submit one rule amendment on this form by 1 March 2019 so you need to get proposals drafted and in to your branch or committee soon. Branches don’t send delegates to Rules Conference, they come from constitutional committees, who may elect them at the same meeting where rule amendments are decided. Conference itself takes place 24-28 June in Brighton. Unite Rank & File campaigns to reform and reinvigorate Unite’s democratic structures to promote a bottom-up culture where members participate, challenge discrimination and are in control. Some ideas for rule amendments are in the report from our recent national meeting. If you are thinking of putting in a rule amendment, or standing as a delegate to Rules Conference, why not get in touch so activists can work together? On Saturday 24 November 2018 supporters of Unite Rank & File from around the country met in London to discuss our work so far and make plans. While an impressive start, the initial focus had been on getting central organisation and online presence up and running so there had been a lack of email bulletins and leaflets, local and sectoral organisation, too few reports from pickets and protests, and most of the people who support Unite Rank & File still haven’t actually signed up. In addition, we are still too widely seen as linked to a General Secretary candidacy, despite our launch statement and subsequent actions making clear that is not what we are about. A genuine rank and file movement can only be built through workers struggle against their employers but we can contribute towards this process by, for example, pulling together people who see the need for such a movement, encouraging solidarity, publicising victories, encouraging resistance and pushing Unite to do more, putting activists in touch with each other, sharing information and ideas, challenging the “in partnership with management” approach, campaigning to reform and reinvigorate Unite’s democratic structures to promote a bottom-up culture where members participate, challenge discrimination and are in control, and championing radical policies even when Unite fudges on them. We’d welcome more people involved in contributing to this web site and other publications. As well as more solidarity appeals and reports (videos are great!) there was discussion about the difficulty of finding relevant information on the Unite web site, and the way information rarely reaches out beyond those on constitutional committees. We want to gradually make this site a “go-to” place for activists by reporting or signposting relevant information. If you are on a constitutional committee, you could consider after each meeting sending in a few key pieces of information or news that activists more generally might value? There was a lot of anger over the approach Unite had taken at Labour conference. While the left and most constituency Labour Parties had wanted to debate open selection (sitting MPs not being automatically reselected as candidates), Unite had voted to prevent this, despite it being our policy. Unite had also supported a mechanism for leadership elections which still gives MPs an effective veto over candidates but increases the ability of unions to block candidates. Unite has a tendency to fudge key issues, for example it’s support for Palestinian rights while backing the use of the IHRA definition of antisemitism in the Labour Party, which will curtails non-racist free speech on Palestine. People felt that this example, like the ones on diversification and workers’ rights to live and work where we like, meant there was an important role for Unite Rank & File in speaking out clearly for left policies. Unite’s industrial approach varies widely, but there were concerns about a focus on short-term “jobs at any price” rather than diversification, concession bargaining, and a willingness to trade union recognition for industrial peace. The need for diversification to good sustainable jobs was highlighted by the threats to jobs at Appledore shipyard, Cammell Laird, Rosyth and Vauxhall Ellesmere Port. Failure to take the initiative on diversification will leave hundreds of thousands of members vulnerable if action to tackle climate change happens on employers’ terms rather than based on our demands for a “just transition” to a low carbon or no carbon economy which can mean many new good jobs. Members remain concerned about blacklisting and the lack of progress in tackling union officer collusion in it, particularly with the influx of officers from the former UCATT. In construction this is leading some members to “dual card” being members of other unions including the IWGB. Some key barriers to democracy and accountability were discussed. Members have to get through many layers of Unite’s structure to get things decided or done – and it is often unclear what route through the structure to take. The timescales are very slow, especially if some of the meetings at different layers are inquorate or officers mislay paperwork or information which can cause three months’ delay each time. 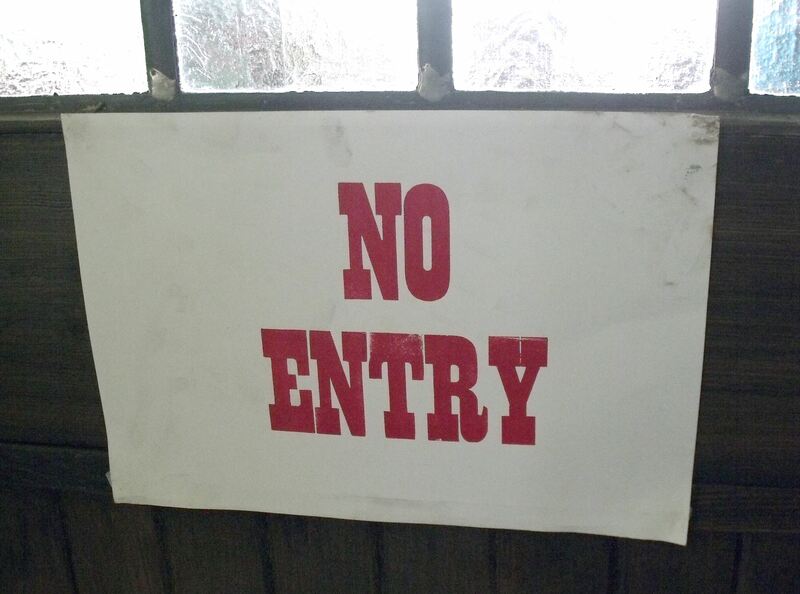 Community members are still excluded from most of the union’s structures, including having delegates to the Rules Conference which will decide whether to address this. Some workplace-based activists are afraid of losing control of the union to community activists, but it was pointed out that Unite already has facilities to ensure representation is proportionate to membership, so no section of members can dominate. For Rules Conference 2019 Unite Rank & File will encourage rule amendments to increase democracy, participation and accountability. Concern was raised that the national Equalities Conferences due early in 2019 have been postponed a year. We want to discuss ideas for rule change motions now. The timetable for branches and committees to submit motions is expected to be announced around the end of the year. The inspiring strike by 8000 UNISON members had seen solidarity action by around 600 (mainly GMB) refuse workers. An NEU teacher had been suspended for refusing to cross a picket line but was now back at work following a campaign. The Glasgow council strike was the biggest equal pay strike for many years and had done a lot to raise the profile of the issue. The solidarity action was important in proving this can be done – despite the anti-union legislation. The strike also helped inspire the tens of thousands of Scottish teachers who marched, and a four-day unofficial postal strike in Hamilton. The strike came in the context of the #MeToo movement, the campaign for abortion rights in Ireland, the walkouts at Google over sexual harassment and discrimination, and the big role of sexual harassment in hospitality in stoking the fast food strikes. Though many employers are treating the publication of the Gender Pay Gap data as a “tick in the box”, it provides valuable information about employers which can be used in campaigning and bargaining. In some cases, reps are finding out that their employers have been misleading them about pay. Gender Pay Gaps are often about job segregation, not just unequal pay for similar work or work of equal value. There was frustration that a lot of union communication about equality is about committee composition or meetings. We want to do more to promote efforts to fight discrimination and oppression. To call a 2.5 hour strike on the 8th of March 2019 symbolising the two and a half times more social reproductive labour women undertake than men highlighted in the International Labour Organisation report. The demands of the strike will be extended access to free childcare, the reversal of all austerity cuts to women’s services and the creation of a National Care Service which is free at the point of delivery, has equal standing to the NHS and is funded from progressive taxation at the national level to avoid the entrenchment of regional inequalities. To call a national demonstration working alongside women’s charities and campaigns. For the EC to contact the TUC and other unions encouraging wider participation in the strike. For National Officers, Equalities Officers and all union structures and committees to promote and encourage active participation in the strike and demonstration. In recent years there has been a small revival in strike activity on International Women’s Day. Inspired by Polish women’s strike against plans to criminalise abortion and miscarriage on 3 October 2016 and an international wave of protests, the International Women’s Strike now involves more than fifty countries. In most countries there is insufficient organisation to strike paid employment, though more than five million struck in Spain last year. We agreed to push Unite for action over Motion 65. Even if we can’t deliver strikes in most workplaces, there will be plenty with live issues of sexual harassment and discrimination that could be balloted and provide a focal point to force attention and action on these key issues – just as the Glasgow strikers did. The Street Crane strike in Derbyshire which we had been publicising had just won. Action is currently suspended for negotiations at Prysmian Cables. Action against job cuts and casualisation is ongoing at Cammell Laird (Facebook page, petition, strike fund). There will be a national summit for safe, secure homes for all in London on 8 December. Keep an eye on our Facebook page in particular for updates about disputes and campaigns. We decided we will ask supporters to make a regular financial contribution of at least £2 (£1 unwaged) per month, more if you can afford it. This will both provide more stable finances for our activities and provide clarity for democratic processes. We elected a treasurer who will oversee setting up a suitable bank account. Unite Rank & File’s committee (see below) will appoint two auditors who are not committee members. We elected an editor and four assistant editors who will oversee our web site, social media, email newsletters and leaflets on a day to day basis. We elected two co-chairs (one female) and want up to two coordinators (at least one female) for each region, sector, equality strand, young members, community members and retired members. These will encourage people to sign up to Unite Rank & File in their bit of the union; feed in ideas, appeals for support, reports etc; circulate Unite Rank & File materials; and get people together where appropriate. We elected people into some of these coordinator positions, plus an overall solidarity coordinator. Unite Rank & File’s committee will comprise the various officers and coordinators, and it was charged with co-opting additional coordinators where needed. Please sign up to Unite Rank & File if you haven’t already, like our Facebook page (and choose the “see first” option under “Following”), follow us on Twitter, and send in appeals for support, reports and your ideas. The IHRA definition and its examples are intended to undermine freedom of expression on Israel and the rights of Palestinians by smearing the movement in support of Palestinians, and in particular the BDS movement, as antisemitic (more information here and here). Hundreds of Unite activists had signed an open letter opposing the adoption of the most problematic IHRA examples in just three weeks. Those, like Len McCluskey, who argued that Labour should adopt the IHRA examples were wrong for two reasons. They were wrong to imagine that this would curtail the smears against the Labour leadership and all those who support the Palestinian cause; and they were wrong to think such an opportunistic approach justifies supporting a tool that is being used to strengthen these smears. 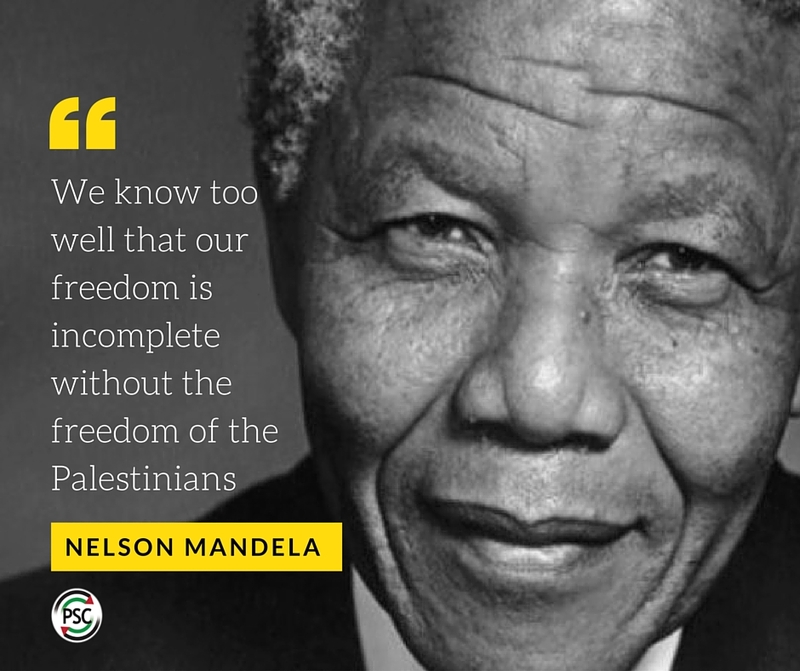 This can only do long-term damage to the fight against the oppression of Palestinians. Giving in to bullies doesn’t work. Rather than giving in to those who want to silence criticism of Israel, we must speak out in defence of Palestinians and of free speech on the oppression they are resisting. Unite branches to send motions in through their Areas and Regions, to the Executive Council, demanding that our union stands firm in support of Palestinian freedom and does not give an inch to those who would claim that doing so is antisemitic. A model motion you can adapt is below. … branch is proud of Unite’s strong stance in support of the Palestinian struggle, including the movement for Boycott, Divestment and Sanctions (BDS) against Israel. While not everybody holds these views, and this branch acknowledges that all these views can be held by racists, or can be expressed in racist, insensitive or unhelpful ways, these views are not in themselves racist or antisemitic. This branch believes that there is a consistent attempt to unjustly smear supporters of Palestine as antisemitic in order to weaken the movement for Palestinian freedom. This branch notes that the IHRA working definition of antisemitism and examples have already been used (e.g. by Barnet Council and University of Central Lancashire) to falsely claim that legitimate views or debate on Palestine and Israel are antisemitic. This branch resolves to oppose any definition of antisemitism which suggests that legitimate views or debate on Palestine and Israel are antisemitic, which not only undermines the fight for Palestinian freedom, but undermines the fight against genuine antisemitism. This branch resolves to send this motion to the Executive Council via the Regional Committee and/or Area Activists Committee as required. This weekend delegates from across the UK, Ireland and Gibraltar will gather in Brighton for Unite’s 5th Policy Conference. The final agenda suggests there should be some lively and important debates. Unite Rank and File has produced a leaflet highlighting some of the key issues. If you’re at conference, please help distribute it. And if you haven’t yet signed up for Unite Rank & File, please do. Though Unite has been playing an increasingly positive role in challenging blacklisting, particularly in construction, more progress is needed to investigate the allegations that union officers colluded to put members on the blacklist and root out any responsible. 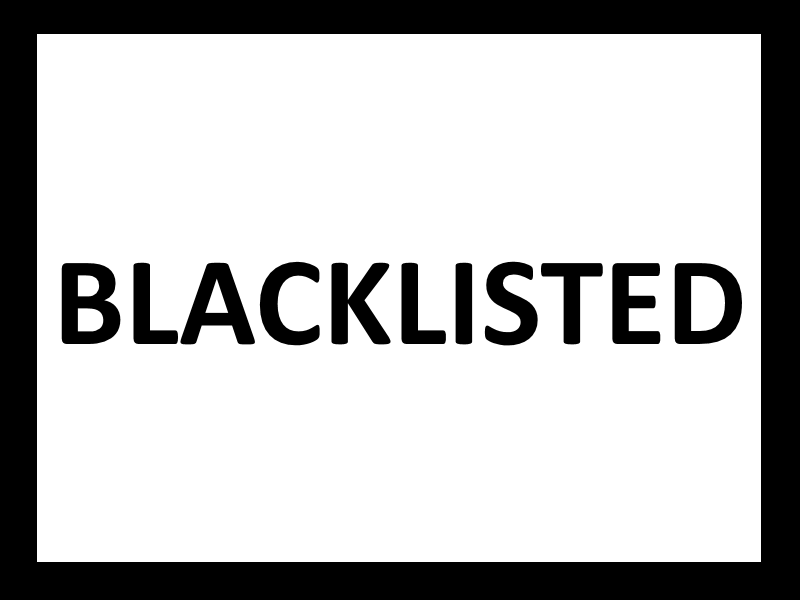 The problem of employers blacklisting workers who organise or who speak up about issues, including Health & Safety, has been growing in prominence for a number of years, thanks in particular to the work of the Blacklist Support Group (Facebook, blog). Despite the exposure of one blacklist of several thousand workers, run by the Consulting Association, which mainly targeted electricians, nobody believes the practice has ended. In recent years Unite has been playing an increasingly positive role in challenging the blacklist. The union has been more supportive and cooperative with the Blacklist Support Group. At present the union is taking action in the High Court against both key individuals involved in blacklisting, and some of the big companies that used the blacklist. Compensation isn’t enough for justice – the struggle continues to bring the practice into the open and stop it. Blacklisting workers, so they can’t get employment, is a crime and a human rights abuse that ruins lives, breaks up families, and has led to suicides. The Metropolitan Police has admitted that police officers are likely to have passed personal information to a covert blacklisting operation, and that police throughout the UK had contact with organisations including the Economic League, a previous major blacklister. It has also been confirmed that undercover police infiltrated unions to gather information. But one issue that simply hasn’t been adequately addressed is the allegations that some union (Unite and former UCATT) officers colluded with employers to blacklist members. During the recent General Secretary election, Len McCluskey was among those who backed the call for an inquiry, though he claimed that “While new evidence has unfolded in the High Court proceedings it is not the case that this evidence points towards present or previous union officials”. This is an extraordinary claim, given that a number of members’ Consulting Association files blacklisting members name union officers as the source of information about them. Some of these officers are named in the carefully researched book “Blacklisted: The Secret War between Big Business and Union Activists”. The remit of the inquiry was a worry. It wasn’t drawn up in conjunction with blacklisted workers and doesn’t seem to involve talking to the members who believe they have evidence of officer collusion. Since then, things have gone awfully quiet. Members don’t even know which barrister is conducting the inquiry, and haven’t been asked for input. Len McCluskey said he is not aware of evidence regarding the serving officer Brian named, and asks to be sent any evidence to forward to the barrister. 8 December 2017 Brian Higgins sends Len McCluskey copies of pages from his Consulting Association blacklisting file which name officers (including one still serving) as having provided information. This is very different from the promise of taking action without hesitation made before Brian sent the evidence. It’s well past time that the inquiry into officer collusion got some more impetus, actively seeking evidence from the members involved, and explaining to members what the process will be. And if Len McCluskey intends to take no action, even when evidence is supplied, until after the barrister’s report is made after the end of litigation, he needs to explain that rather than claiming he won’t hesitate to take action. Many activists believe they are still being represented by officers who knowing colluded with employers to prevent members getting employment on the basis of their union activity. Brian and some others believe “there is a cover up going on”. Brian says he “was extremely upset and deeply offended and almost physically sick” when an officer was “promoted … in spite of senior construction officials knowing he was named in my file when this promotion took place”. Whether the evidence proves these beliefs to be true or not, a situation where members believe their evidence is not being acted upon is untenable and unsustainable. There’s great potential for membership growth in construction. Cleaning out the shameful problems of the past can only help. Failing to do so would make the prospects of democratic site organisation in construction bleak. Should Unite seek immunity for discrimination by lay union officials against members and employees? The fight against discrimination and for equality is a core part of what any decent union activist does. So it might come as a surprise to many who haven’t been following the case that Unite went to the Court of Appeal (and may go to the Supreme Court) making an argument that would reduce members’ protection from discrimination. “failed to deal with it firmly or decisively”. In an organisation with over a million members, thousands of lay activists and hundreds of employees there will, from time to time, be cases where people behave wrongly. While the union can and should take steps to minimise this, for example through education and clear policy statements, this cannot prevent cases arising entirely when our union exists within a society riddled with power inequalities, prejudice and discrimination. What everyone should be entitled to expect is that our union responds supportively and effectively when such incidents occur. When someone has been treated as badly as Unite and the courts accept that Sally Nailard was, you would expect the union to do what it can to make amends to the individual and try to learn lessons to reduce the risk of recurrence. An absolutely compelling reason would be needed to drag the survivor of bullying and harassment through a gruelling series of appeals. Yet that is what has happened. You can read the Court of Appeal judgement here, and some legal commentary on it here. In the appeal, Unite wasn’t contesting that Sally Nailard had been treated very badly by two branch officers, or that they had responded inadequately to her complaint. The appeal unsuccessfully sought to use a legal technicality to deny liability under the Equality Act 2010. We all understand that an employer has liability for discrimination carried out by its employees. The law has jargon for when someone who is not an employee can act on behalf of another person or organisation, with the power to change their legal relationship with third parties, without being an employee. The “agent” acts on behalf of the “principal”. The law treats lay reps and branch officers as “agents” acting on behalf of the union (the “principal”). Lay reps can enter into agreements with employers that have legal standing. This view of lay reps as agents of the union is not new law, being well established in Heatons Transport (St Helens) Ltd v Transport and General Workers’ Union . But it certainly isn’t how union activists see the relationship – we see ourselves as acting on behalf of, and accountable to, members, not on behalf of the union as a top-down legal entity. Section 109 of the Equality Act 2010 makes clear that principals are liable for discrimination by their agents in broadly the same way that employers are liable for discrimination by their employees. The waters in the case were slightly muddied by Unite highlighting an anomaly in the Equality Act which does not provide “principals” with the same defence as “employers” that they “took all reasonable steps to prevent” the discriminatory Act. However, this is far less significant than it appears. A “learned friend” explains that the courts don’t in practice allow this defence for employers either, because if it was given its literal meaning the effect would be that no large employer with an HR function and policies would ever be found liable for discrimination – an outcome so unjust that even our courts wouldn’t accept it. But even if this inconsistency in the legislation had been material, it still wouldn’t justify the appeal, which was primarily on the obscure point of whether the liability of the union for discrimination carried out by lay officials should protect employees, other activists, and members; or be restricted to only protect third parties such as employers! It can’t be right that Unite continues to seek a blanket immunity for lay officials who discriminate against Unite members, activists and employees, denying them protection available to employer representatives or reps from other unions. It is well known that there have been significant issues in relation to treatment of female Unite officers, and that the report into this showed that a large proportion of their experiences of sexism was from lay members rather than union employees. Unite should not drag Sally Nailard, who the union accepts was treated appallingly, through yet another appeal in an attempt to deny Unite members, activists and employees legal protection from discrimination by lay officials. Unite should apologise, try to agree a resolution with Sally Nailard and step up equality education for all activists. Not only would this help us reduce the incidence of sexual harassment within the union, it would help our activists support the huge number of women members who suffer sexual harassment in their workplaces. Most of Unite’s structures run on a three-year cycle. Elections for workplace reps and branch officers should now be complete. But unless you act now you could be excluded from the rest of the union’s structures for the next three years. Between 14 May and 1 June 2018 conferences will be taking place in every region to elect Regional Industrial Sector Committees (RISCs), Regional Equality Committees (REqCs), Area Activists Committees (AACs) and Regional Labour Party Liaison Committees (RLPLCs). This is a crucial step – these committees then elect people onto nearly all the other structures including National Industrial Sector Committees (NISCs), National Equality Committees (NEqCs), Regional Committees (RCs) and the National Labour Party Liaison Committee (NLPLC). They are also part of the route for election to industrial sector, policy and rules conferences, TUC conference and Labour Party conferences. So if you don’t get on one of these committees (the RISC is particularly important for working members) you are likely to be excluded from most of Unite’s structures for three years, which can be a significant barrier to finding out what’s going on and having your say. If you haven’t had an invitation to the conferences you are entitled to attend, you should urgently contact your Unite Regional Office. Note that to attend most of the conferences you must be an “accountable representative of workers” under Rule 6. If you want to stand for any of the committees, you should submit a nomination in advance from a branch of workplace – the relevant form should be provided with your invitation. If you don’t manage to do this, there’s still a significant chance you could stand for election at the conference itself, if (as is all too common) insufficient nominations have been received by the deadline. It is important that you elect people who are actually going to turn up most of the time. The March 2018 Executive Council (EC) meeting clarified that the quorum for RISCs and AACs is 50% + 1 of those elected, so vacant seats don’t count against you as much as people elected who don’t show up. Vacancies can be filled during the three-year term but you often have to push for this. The EC also decided that if membership of a RISC or AAC should fall below five people, it will be linked with another Committee so that it can continue to function. It’s normal for the relevant Committee to meet immediately after the Conference that elected it, and to elect its chair and delegates to other parts of the union structure. 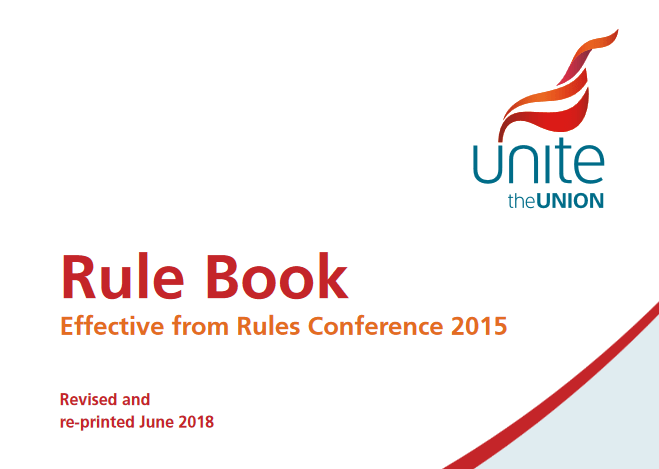 More information about Unite Rules and a list of the Conferences and the Constitutional Timetable is available via the links. The preliminary agenda for Unite’s Policy Conference 2018 is out, listing all the motions submitted by branches and constitutional committees. Each branch and committee now has the opportunity to submit one amendment to a motion. Your amendment has to be in by Friday 11 May 2018. Amendments can’t change the overall thrust of a motion or be on an unrelated topic. They are useful to improve or correct problems in otherwise good motions, or to add points that may have been missed or which arose after the original motion was submitted. The motion numbers may change in the final agenda, and many related motions and amendments are likely to be “composited” (merged) before they are debated. The conference itself will take place 2-6 July in Brighton. 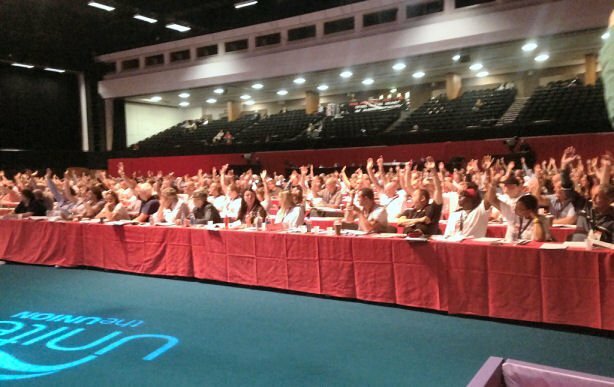 Unite will be holding its next Policy Conference in Brighton 2-6 July 2018. This is the opportunity for every member to shape our union’s policy. The process is already under way, with branches and committees sending in motions for the conference agenda. If you want to get a motion onto the agenda, you need to act now. Motions have to be agreed by a branch or committee and sent in to Unite HQ no later than 9 February 2018. Step one is to draft your motion. There are full guidelines here. If you’ve never done it before, don’t be put off, but do ask for help if you need it. Each branch and each constitutional committee (i.e. Regional & National Industrial Sector Committee; Regional & National Equality Committee, Regional Committee, Area Activist Committee) can submit one motion on any general policy topic (i.e. not about a particular sector and not requiring a change to Unite’s rules). The National Retired Members’ Committee and each Regional Retired Members’ Co-ordinating Committees can also submit one motion each, but these can only be on about matters solely pertaining to members in retirement. The meetings held round the country before Unite Rank & File launched came up with lots of ideas, including areas where we can campaign to improve union policy. Note that there’s no need to submit motions to restate existing policy – motions should change existing policy or add to it. This week Unite members will be meeting in Brighton for our 2017 sector conferences. 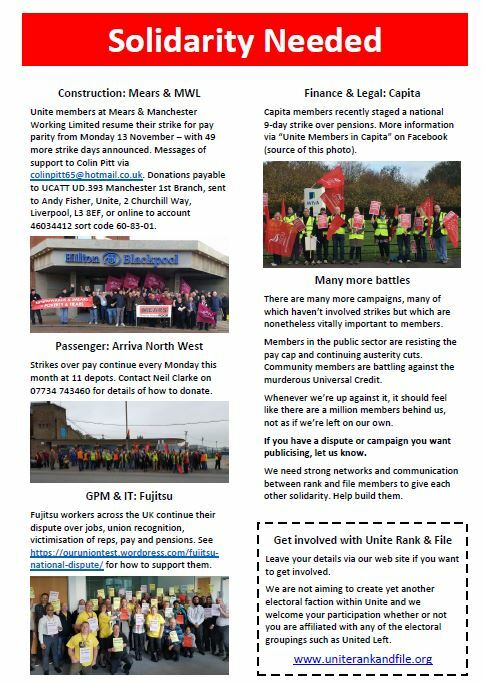 Unite Rank and File has produced a leaflet explaining what we are and encouraging solidarity with various disputes. If you can, please lend a hand distributing it to delegates and encourage them to sign up for Unite Rank and File. Delegates normally arrive the day before the conference to register, and delegates normally stay over after the conference to travel home the next day.